Total Number of votes have reached 30455 votes while number of deleted votes due to temporary e mails, same IP address and fake votes are 10112 votes…. 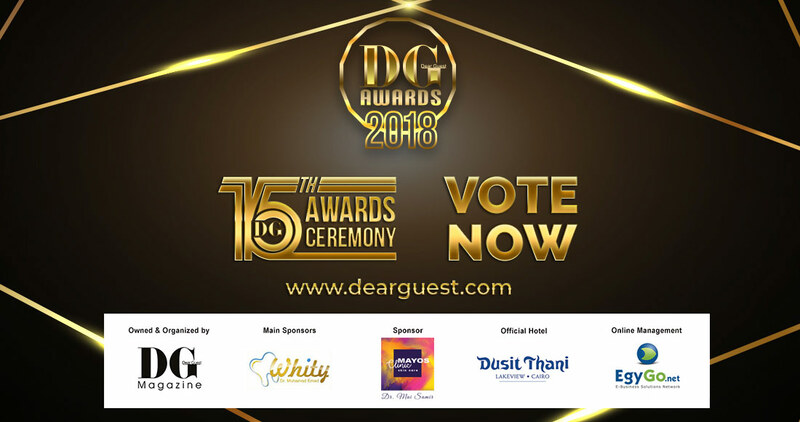 DG Best Radio Announcer: Each of the following names is competing with more than 1900 votes… Ahmed Younes, Osama Mounir, Mina Attallah & Ali Al Faisal..
DG Best Radio Channel: Each of the following channel is competing with more than 1600 votes… El Radio 9090, Mix FM and Nagham FM..
DG Best Female Singer: Each of the following names is competing with more than 2300 votes: Sherine, Samira Saeed, Ahlam, Elissa, Asala & Angham…. DG Best Youth Singer: Each of the following names is competing with more than 2300 votes: Mohamed Assaf, Ali Al Faisal & Ahmed Gamal..
DG Best Female Youth Singer: Each of the following names is competing with more than 2400 votes, Haidy Moussa, Rana Samaha & Carmen Soliman..
DG Best Female Rising Singer: Each of the following names is competing with more than 2000 votes: Yasmine Ali, Hanan Al Khedr, Sherine Yehia & Kenza Morsali..